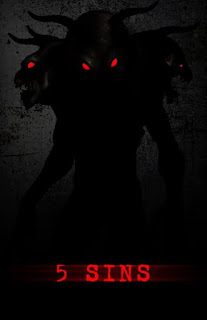 J. Horton (Monsters in the Woods) latest film 5 SINS is revving up to start shooting in May. A co-production between Gas Money Pictures and ANC Entertainment. J. Horton is set to direct, with casting to be announced in the coming weeks. 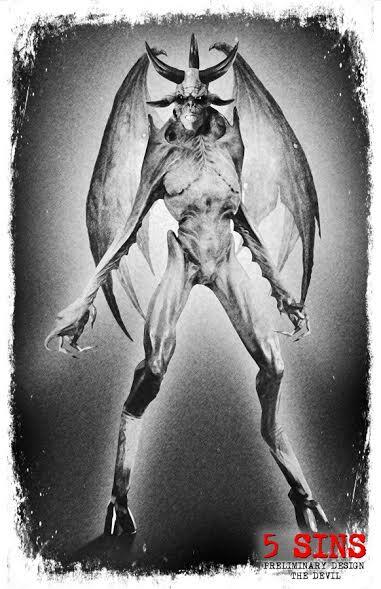 As well, Robert M. Bravo will create the special effects on the film, including creature effects. 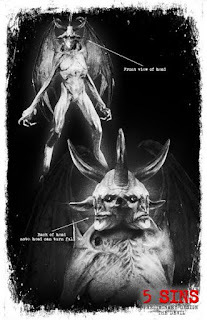 5 SINS will host several demons as the central character Morgan has her soul stolen, one piece at a time. On 1st May, the production crew will start shooting in Los Angeles, including the ANC Campus in Burbank. More details, on casting and production, will be announced shortly. 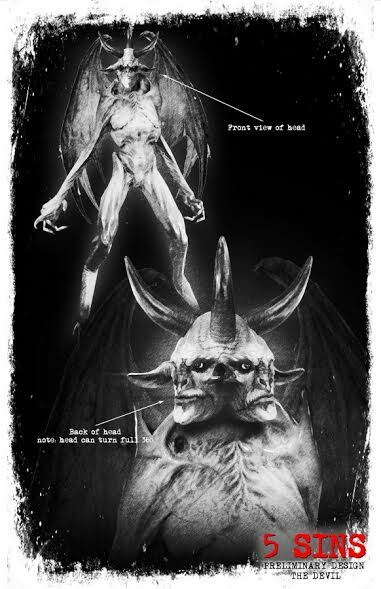 For now you can check out some early concept art in this news piece showing Morgan’s central foe, the Devil himself!